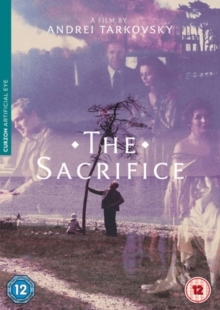 Andrei Tarkovsky writes and directs this Swedish drama starring Erland Josephson. Andrei Tarkovsky writes and directs this Swedish drama starring Erland Josephson. On an isolated Swedish island Alexander (Josephson), his wife Adelaide (Susan Fleetwood), their two children, and various eccentric friends gather around a radio to hear the impending announcement of nuclear war. Alexander attempts to strike a deal with God and is willing to sacrifice everything, including his six-year-old son Gossen (Tommy Kjellqvist), in order to avert the war and mankind's annihilation.